Unfortunately, accidents happen and equipment fails–often at the most inopportune times. 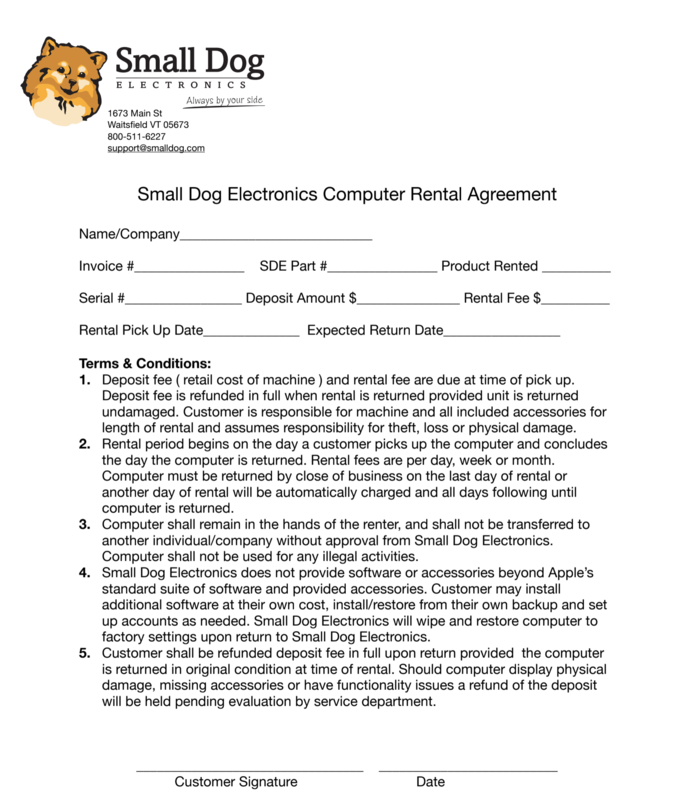 Whatever the reason, Small Dog Electronics has a Rental Program that is both convenient and affordable to meet your needs. 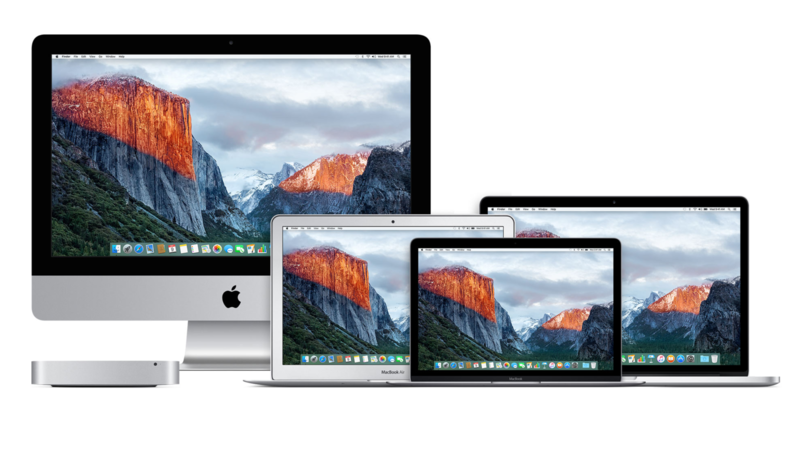 We offer for rent most of the Apple line up, from Mac Minis to MacBook Pros. We do not provide rental services for monitors, iMac Pros or Mac Pros. Computers come with macOS installed and the standard suite of Apple programs. Customers are welcome to install their own programs and data onto machines during the rental period. Small Dog Electronics will wipe and restore the macOS to factory settings upon return of the rental. A rental fee and deposit fee are applicable, the deposit is the retail cost of the computer. Upon return of the rental and verification that the computer was returned in the same condition it was rented in, including accessories provided, we refund the deposit fee in full less the applicable rental fee. We offer daily, weekly and monthly rental rates which vary by machine. Please speak to a member of the service team or sales team for specific rental fees based on what machine is being rented. Contact us at Email rentals or 1-800-511-6227 and press 2 for our support team.